See what our recent clients had to say about their remodeling projects! LT Construction & Remodeling, Inc.
Lac was great to work with. When I had questions, he got back to me in a timely manner. He was especially patient with me during the planning phases of my project. He listened to my needs & wants, and offered some suggestions of his own. When it was time for the work to be done, he and his helper were on time. They cleaned up the work thoroughly every day and kept a neat job site. His price was very competitive and the work was top notch! I wouldn't hesitate to work with him again. Lac was great to work with for our bath/shower renovation. When I had questions, he got back to me in a timely manner. He was especially patient with me during the planning phases of my project. He listened to my needs & wants, and offered some suggestions of his own. When it was time for the work to be done, he and his helper were on time. They cleaned up the work thoroughly every day and kept a neat job site. His price was very competitive and the work was top notch! I wouldn't hesitate to work with him again. 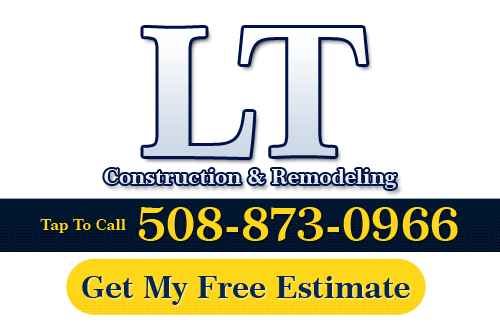 We were looking for a contractor to help design and build out a finished basement, and came upon LT Construction. Lac met with my wife and I and we were immediately onboard with his ideas and even more confident learning of his professional background and experience in the industry. Though our primary goal was for a finished basement, we had been wanting to build in a half wall to separate our living room from our kitchen, and asked if Lac could do that as well. He actually took on that project first, and did it very quickly. We were amazed at he and his team's skillsets, further validated that we had found the right person, and became even more excited to see how he'd take on the basement buildout. His quality of work was stupendous. He executed the perfect design, used quality materials, and placed attention to every detail. He was always punctual, and met the timeline he anticipated to complete the project. We cannot speak strongly enough about how much praise we have for Lac and his team. They are very professional, extremely talented, and will help you realize your project to completion. We highly recommend them without question, and are so glad we found them!! Thank you for your kind review. It was a pleasure to work with you and I am very glad you are happy with the completed results! Lac and team were consistently on time, impeccably tidy, offered excellent advice re: materials choices, and they are true artisans of carpentry. He finished a week or more early, never ran over budget, and left us with a fully renovated basement that’s extraordinary. Small, homey finishing touches isucj as gorgeous moulding selections, dimmer switches, recessed lighting were lovely. Started on time, finished early, on budget and an outcome we could not have envisioned! Beyond happy!! Thank you for the great review and very kind words. I enjoyed working with you both on this basement project and I am very glad you are happy with the completed results. I wish you both very many years of enjoyment. "We are very pleased with the work done by Lac and his crew. They honored their contract, worked cleanly and efficiently and were very pleasant every day. The renovations of our downstairs - including the gutting of 4 rooms and the installation of a new kitchen, are just beautiful. We could not be happier with the outcome and are very happy to recommend Lac for any renovation."